As usual, May offers lots of ideas for connecting with adults and engaging community partners to deliver programming. It’s Get Caught Reading Month — an obvious choice for libraries — as well as Older American’s Month, Mental Health Awareness Month, Bike Month and National Salad Month. Plus, there’s plenty of interesting daily celebrations to keep your adult patrons engaged. 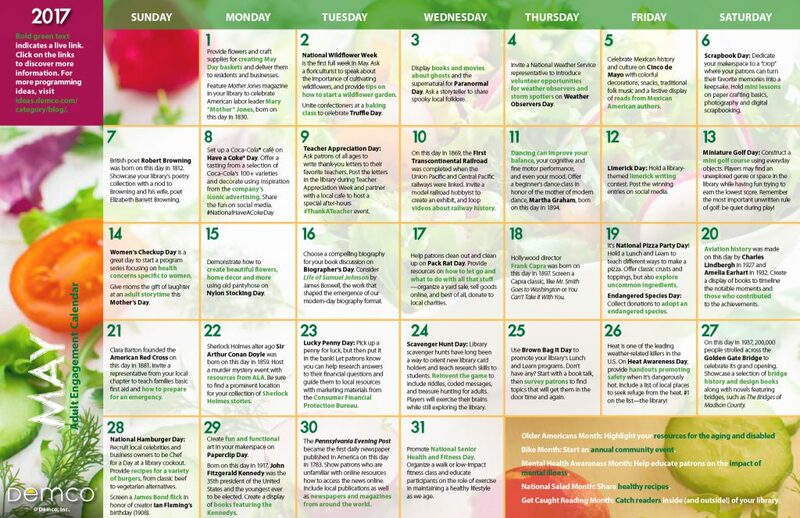 Download a printable 11″ x 17″ version of the May 2017 calendar. 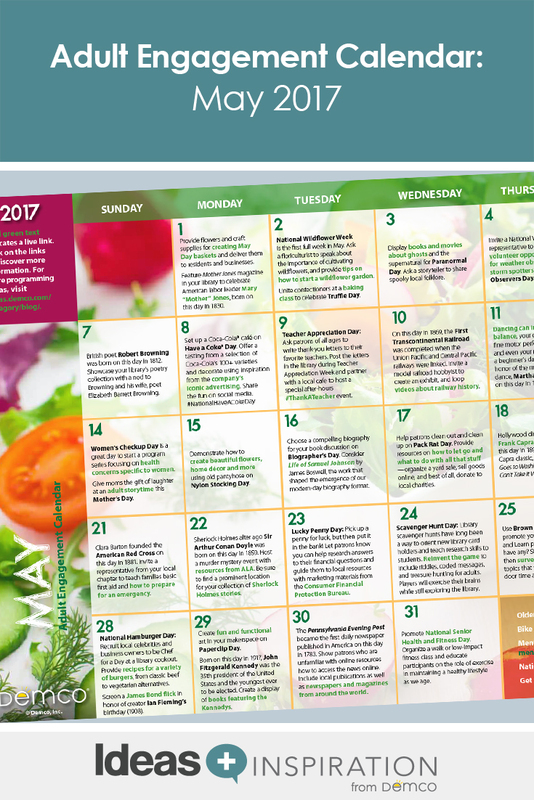 Download a printable 8 1/2″ x 11″ version of the May 2017 calendar.